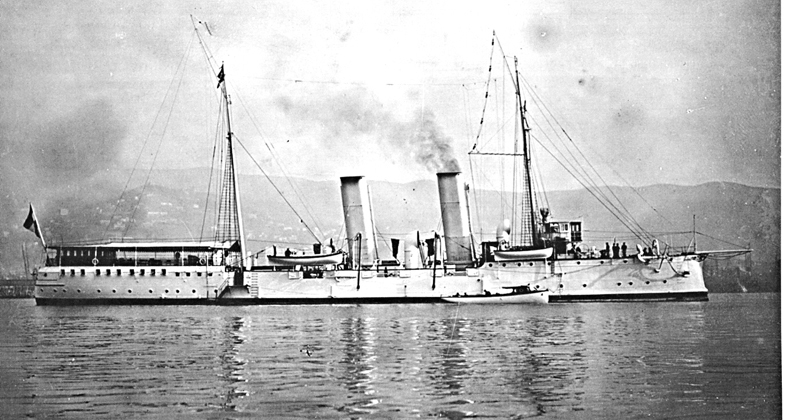 Austro Hungarian naval contribution | The British in Crete, 1896 to 1913. Rear Admiral Hincke and Djavad Pasha. 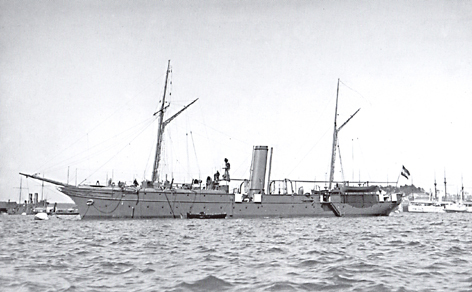 Admiral Hinke, shown in the photograph above, was the Rear Admiral in command of the Austro-Hungarian force which landed on Crete in February 1897. 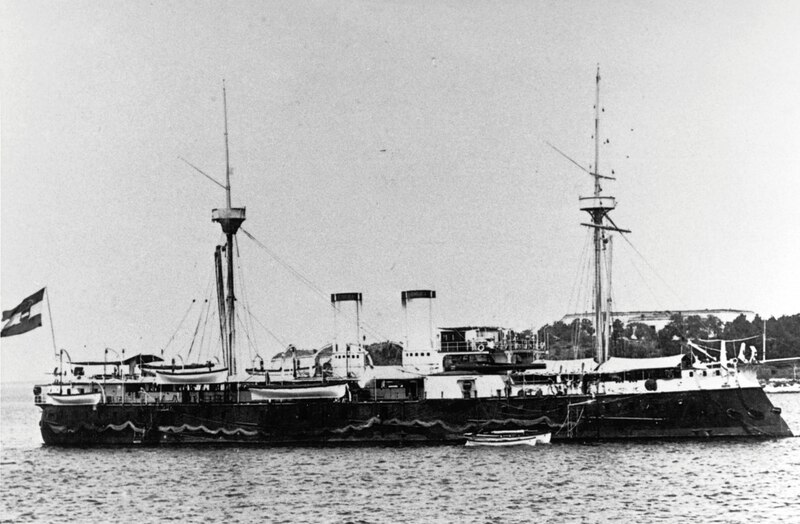 The force initially consisted of the battleship Kronprinzessin Stephanie, the armoured cruiser Maria Theresia, the torpedo cruisers Tiger, Leopard, and Sebenico, along with three destroyers and eight torpedo boats. The Austro-Hungarian contribution to the Intervention forces was withdrawn in March 1898. 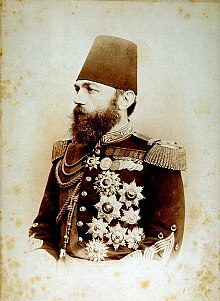 Djevad Pasha (Ahmed Cevad Pasha). 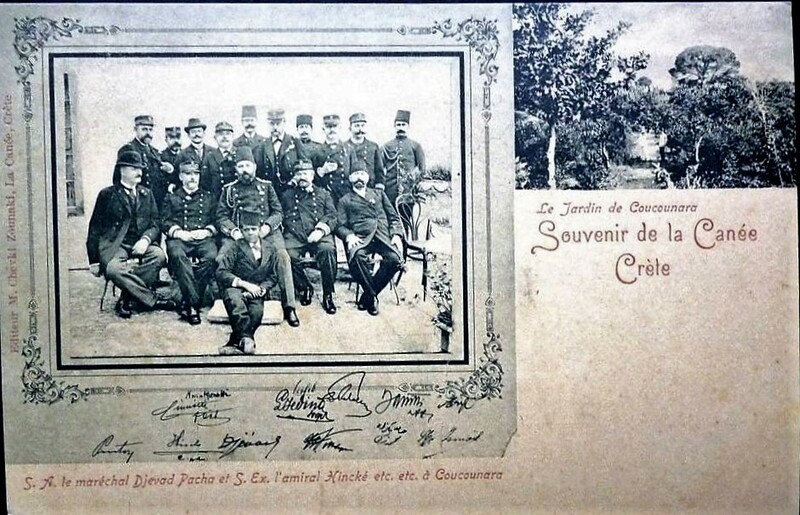 ‘Djevad Pacha’, also known as Ahmed Cevad Pasha, was the Ottoman Military commander of Crete from July 1897 to October 1898, so the photograph must have been taken between his arrival there and the Austro-Hungarian departure in March 1898. 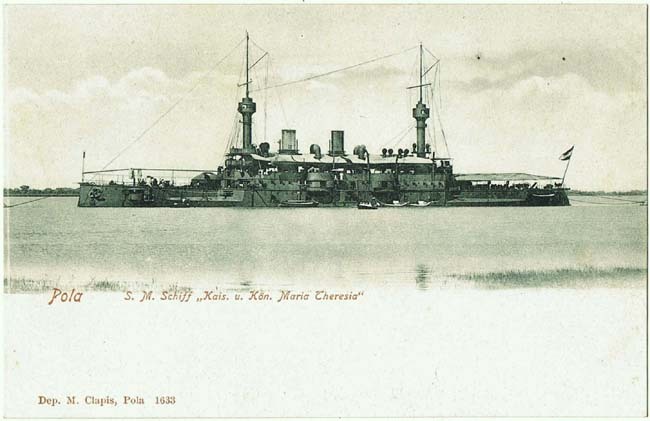 The Naval Policy of Austria-Hungary 1867 – 1918. Navalism, Industrial Development, and the Politics of Dualism. Lawrence Sonhaus, Purdue University Press, 1994. 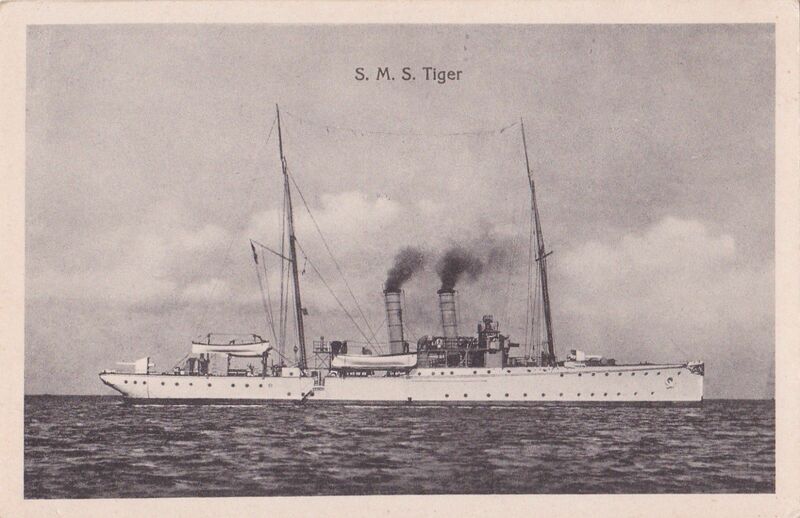 This entry was posted in European Intervention Crete and tagged Austro-Hungarian Navy Crete 1897, Crete 1897, Crete 1898, Djevad Pasha, European Intervention Crete, Rear Admiral Hinke, SMS Kronprinzessin Stephanie, SMS Maria Theresia, SMS Sebenico, SMS Tiger on January 9, 2019 by Mick McT.